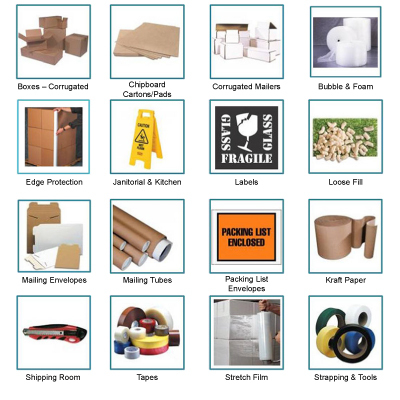 February 02, 2016 - "Press Releases"
We now offer a huge selection of PACKAGING AND SHIPPING SUPPLIES! On our website you will find photos and detailed descriptions of thousands of items that are in stock and ready to ship! Our new site is loaded with convenient features, such as advanced searching, online ordering and order tracking. It also provides you with access to other valuable information about your account 24 hours a day, 7 days a week! Save time and money! Let us be your single source for all of your plastic bags and packaging needs. Visit our website for a full list of our products, contact information, and request for quote information, or find us on Facebook!